Lewis Rice member Jacob W. Reby published an article in the January 2015 edition of The Practical Real Estate Lawyer. The article, The Visual Artists Rights Act of 1990 and Its Impact on the Real Estate Owner, summarizes the VARA Rights and demonstrates how they can affect owners of artwork. The VARA Rights were enacted to, among other reasons, give an artist the right to prevent unapproved alterations or destruction of his or her artwork. These rights last for the duration of the artist's life, regardless of who owns the visual work of art. Jake's practice involves structuring, negotiating, drafting, and closing a wide variety of real estate, corporate, and financing transactions. Mr. Reby represents developers, owners, users, institutions, and lenders. 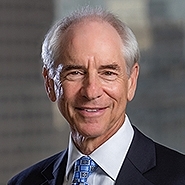 His clients are involved in shopping center, office, retail, hospitality, energy, health care, multi-family, industrial plants, and redevelopment projects including site selection and zoning; land acquisition and construction of infrastructure and buildings; sales and leasing activities; construction and permanent financing; and restructuring and workouts.